One inhale is changes happening from chi, kidney area, through guan, liver area towards cun heart or lung area, finishing in cunkou. One exhale is changes starting in cunkou, following in cun heart or lung area, following in guan, liver area, finishing chi kidney area. Totally one inhale and one exhale makes 6 cun. It is why we say inhale starts from kidney and enters into the heart and exhale starts from the lung and enters into kidney. Most of the celestial bodies in the Solar System, including the planets, orbit around the Sun in more or less elliptical orbits. 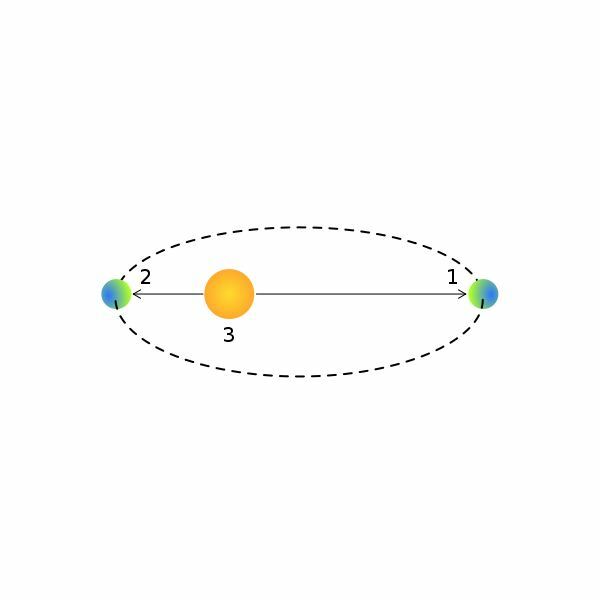 For example the Earth moves faster relative to the Sun 3 at perihelion 2 than it does at aphelion 1. It is the main cause that the length of a day changes during the year. 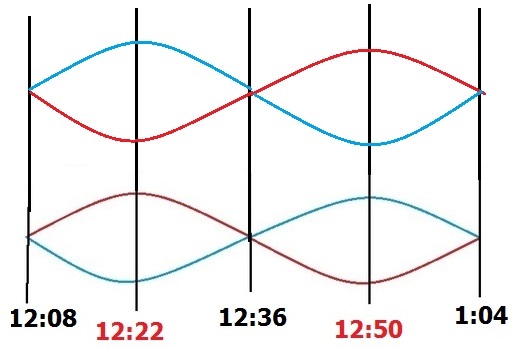 Same happens to the pulse, periods start in the moment of exact astronomical solar noon which is different of one we have on our watch. It is the way how ancient Chinese could adjust their water clock, checking their pulse. On the red circle you may see how yang period starts from the solar noon making 25 cycles and yin period starts at the midnight. Each yin and yang period has 270 BREATHS which are 9 breaths per minute according to the first difficulty and manual palpation. Clearly they are not pulmonar breath but small cycles of pulse changes happening between cunkou and chicun areas. 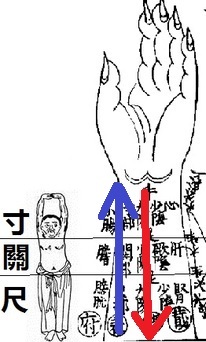 On practice yang period starts from flow of Qi through yang meridians from finger tips of the hand down to the body, acupuncture in this moment has positive effect on depleted yang meridians as it is time of increasing yang. after that yang start to decrease and movement of qi follows from the body towards tips of the toes and lo meridians into yin meridians of the leg. It is the time to puncture yang meridians with excessive yang as it is time of natural yang decreasing. After that yang period finishes and qi moves through source points of the leg yin meridians upwards to the body. It is the best time to use deficient yin meridians as it is natural increasing of yin. 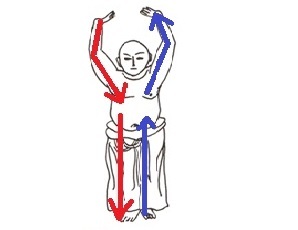 After that qi will flow from the body towards fingertips of the hand and through the lo of yin meridians will move towards yang meridians of the arm. 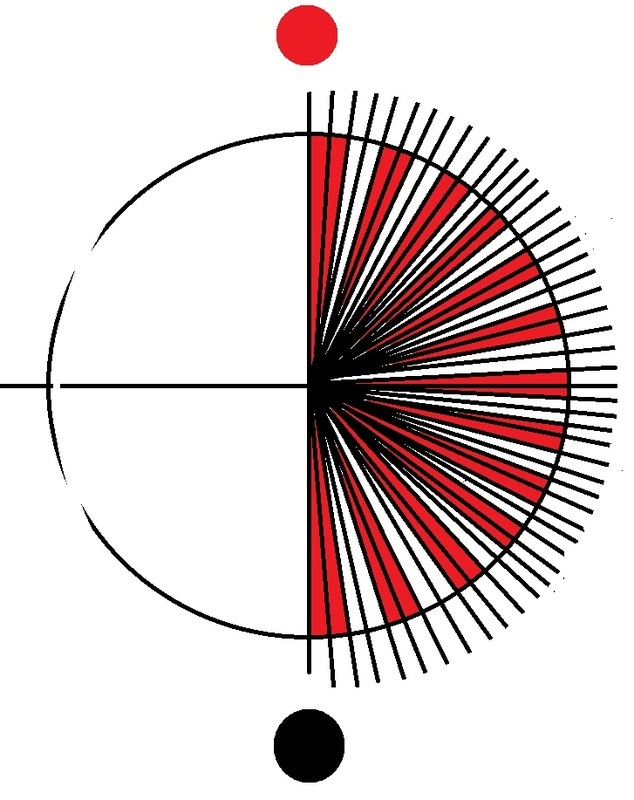 It is the best time to use yin excessive meridians as it is the time of natural yin decreasing. This ancient treatment which uses natural flow of qi due to astronomical movement of the earth around the sun helps normalize natural cyclical yin-yang exchanges and under pulse control normalize primary cellular anabolism and catabolism affected during any disease especially severe diseases as cancer, chronic fatigue, multiple sclerosis and so on. There are not stimulation or sedation techniques. 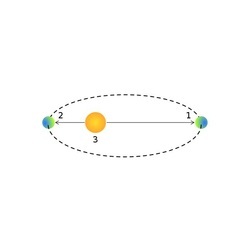 All balance occur due to normal natural qi flow due to astronomical movement of the earth around the sun. Acupuncture pulse diagnosis according to NanJing has brought to the light absolutely new fenomena in treatment of some diseases. Periodical yin-yang exchanges or fifty periods do not happen equally on males as on females. 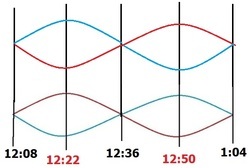 Pulse changes show that during yin period of the male it will be yang period on female and vice versa. This opposite process makes natural balance of qi flows in the nature, preventing only yin or yang increasing and decreasing. It means that treatment and diagnosis of increasing cases of infertility suggest that most of patients do not have any serious condition making them infertile, but for some reason some couples cant have children. Acupuncture pulse diagnosis shows, that insignificant changes in yin system of meridians of one and insignificant changes in yang system of the partner gives significant differences between two. This increasing infertility indicates that it is natural process of imbalance occurred between couples managed by nature, possibly due to total increase of population, changes in biosphere, increasing contamination, affected surrounding natural qi balance and so on. Simultaneous treatment at the same day of couple have very good prognosis for successful pregnancy then treatment of only one of two partners. First difficulty of NanJing is the short explanation of basics of acupuncture and total acupuncture treatment. All following chapters are mostly explanation of little segments of this therapy. Nanjing is book explaining only needling technique based on pulse diagnosis and pulse point prescription. There are not any other techniques as moxibustion, for example,which suggest much older origin of its source then is believed.